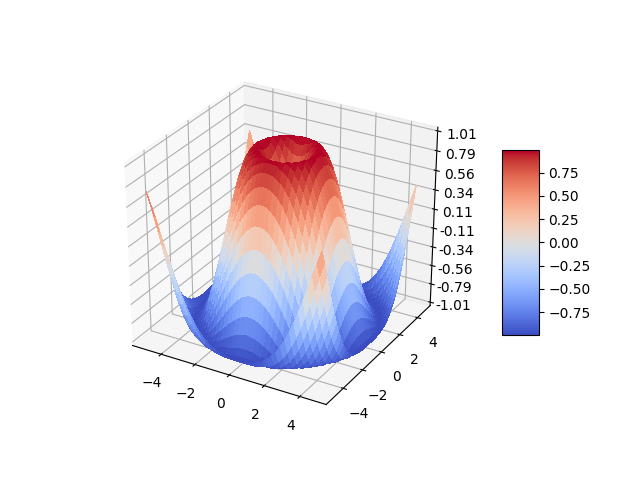 Demonstrates plotting a 3D surface colored with the coolwarm color map. The surface is made opaque by using antialiased=False. Also demonstrates using the LinearLocator and custom formatting for the z axis tick labels.